Gorgeous Stock Photos for Women of Color! Finding stock photos for women of color can come a dime a dozen! When I first started used stock photos all I could find was photos that didn't fit who I was. If I did find something that resonated with me, the person behind it wasn't a woman of color. Not to say that I didn't use them but still I wanted photos that had a person of color in them. When I got my first professional camera I knew that I wanted to be done with stock photos that didn't fit me and so many other women. That's when creating stock photos for everyone became something I truly wanted to do. Now days there are more and more mainstream stock photographers putting women of color into their stock photos from SC Stock Shop to Haute Stock! There is also another stock photos subscription called Createherstock all for woman of color too that has more of an urban style! I'm so grateful for every stock photo business that has started to incorporate more women of color in their photos! These were one of my first ever lifestyle images that I created for women of color! My purpose for my stock photos where to merge the elegance of so many mainstream stock photographer styles and black women together to create She Bold Stock! 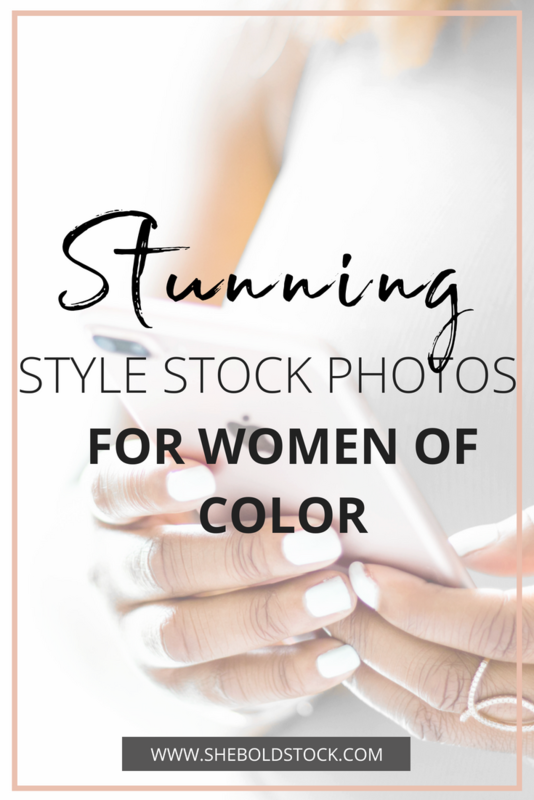 I want to showcase some of my popular stock photos from past collections in my stock membership and shop as well as custom stock photos that I have done for women of color! Let's do this! Custom Stock Photo for Women of Color in Business and Blogging! From Subscription boxes to creating an epic blog with images like the everyday woman and even man! I want to encourage you all to celebrate black history month by showcasing black women on your social media! 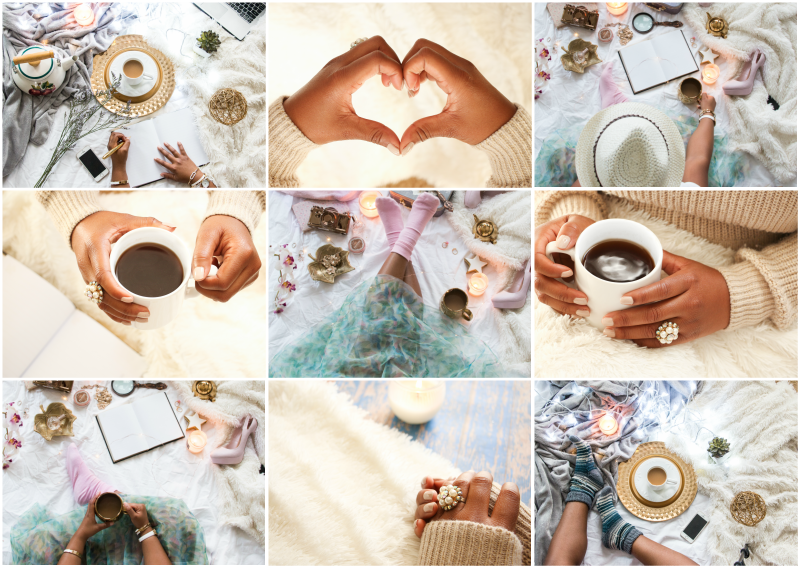 Use stock photos like these in your Pinterest graphics, or your Instafeeds to celebrate a woman of color. I believe if we all come together, finding stock photos for black women entrepreneurs and bloggers won't come a dime a dozen but will be part of any stock photo collection as if was always apart of it. It shouldn't be an afterthought at this point! Let's make this year a year that all women are celebrated! The Future of She Bold Stock! A goal of mine is to have all races represented in my brand this year from black to white to different races such as Asians and Latinos too! So stay tuned! If you would like to get stock photos like these for your brand join the membership or get custom one-of-a-kind photos here! Get 30 FREE Stock Photos Now! What do you look for in stock photos? Is it important to find a person that resembles your brand? Let's Make Your Brand Beautiful Shine Stand Out!